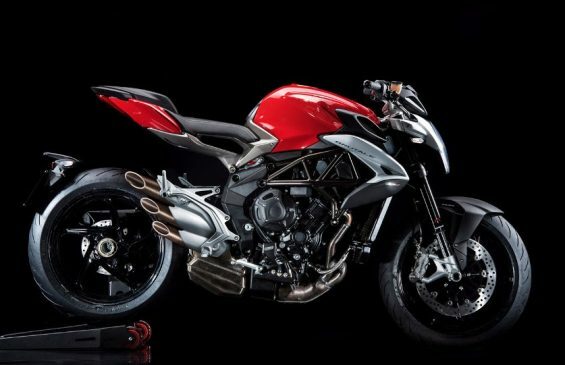 MV Agusta Brutale | Throttle Life! Today, fifteen years after its first appearance, the New Brutale 800 is once again taking on the future and becoming the leader for others to follow. Fully redesigned and yet still tied to its origins, the New Brutale 800 is more effective on the road, delivers more efficient performances and it is naturally more beautiful. With a new take on its proportions, modelled on more sculpted shapes and focused on the front end, the New Brutale 800 enhances the reinterpretation of the main stylistic features, such as the elliptical shape of the headlamp, now a Full LED, and the three‐pipe exhaust, with increased shape and capacity (+ 3 litres). At the heart of the new style there is the futuristic frame of the saddle chassis in light alloy, which blends in with the trapezoidal tank (capacity 16.5 litres), integrated with the air box and providing greater definition and aggression. 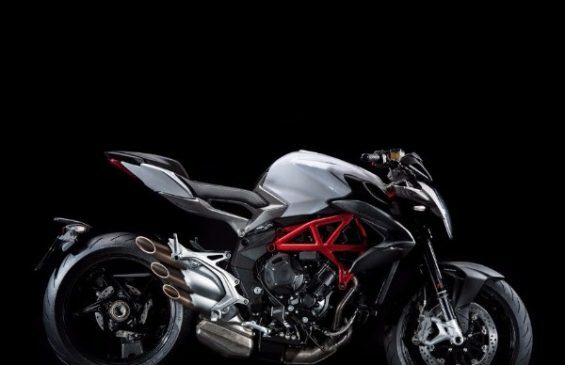 From an aesthetic point of view, the design of the New Brutale 800 reveals a constant search for symmetry, also in the colour, the creation of the footpeg mounts, the ducts and the front headlight supports. Some of the brand new features on the New Brutale 800 include its double saddle, concealed passenger handles, rear light and LED indicators. The instrument panel has also changed, with a new handlebar and the addition of the clutch pump and the related tank which raises the quality of the area, thanks also to the renewed digital instrument panel and electric switches. There have been changes in the engine too, with the latest development of the three cylinders with counter‐rotating crankshaft, to meet Euro 4 emission standards, that is capable of delivering a maximum power output of 116 hp at 11,500 rpm. A record maximum torque, increased by 25% with 83 Nm at 7,600 rpm, with 90% of the value already available at 3,800 rpm. In addition to the counter‐rotating crankshaft, another unique feature is the fact that the new Brutale 800 is the only one in its category with electronic EAS 2.0 up/down gear shift. The slipper clutch is now hydraulically operated while the engine is managed by the MVICS system, which includes integrated multi map Full Ride by Wire in the traction control with 8 settings. In terms of handling, the New Brutale 800 has a new frame with a wheelbase that has been extended to 1400 mm (+20mm), and a trail that is now 103.5 (95mm in the previous version). The ALS steel tubing frame is incorporated with light aluminium alloy clamps in the rear area of the pivot of the single swingarm. The Marzocchi fork has 43 mm diameter upside aluminium forks with a travel of 125 mm: which is 1 mm more than the Sachs shock absorber, which is tethered to the single swingarm. The brake system is Brembo throughout, with a pair of 320 mm diameter front floating disks and brake callipers with four pistons, whilst at the rear a twin piston calliper acts on a 220 mm disk. The Bosch ABS 9 Plus completes the picture, guaranteeing safety and performance on any road surface. From a safety perspective, the new Pirelli Diablo Rosso III tyres, fitted as original equipment for the first time ever on a standard production motorbike, are an additional asset. The new Brutale 800 is now available for $13,498 MSRP and is offered in the following color options: Black Matt Metallic, Pearl Ice White and Red. 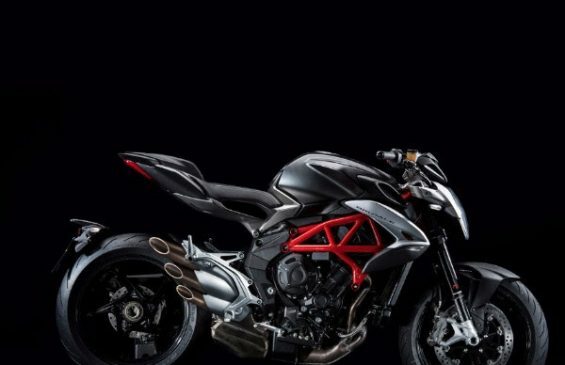 For additional information on the Brutale 800 model visit mvagusta.com.